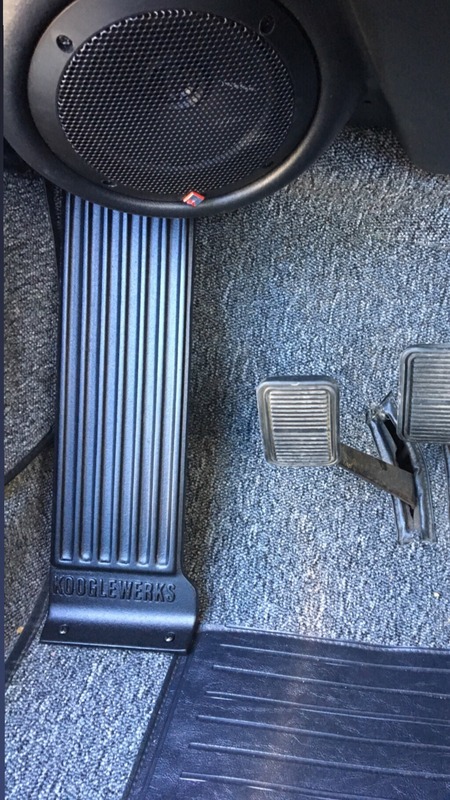 Our new cast aluminum dead pedals are designed specifically for the BMW 2002 (tread design matches OEM accelerator pedal) and help to aid in driver comfort and access to clutch pedal while driving aggressively, on and off track. The upper mounting holes lock under factory underdash panel tab, (drilling optional) lower mounting holes require two 3/32” holes drilled in floor pan. 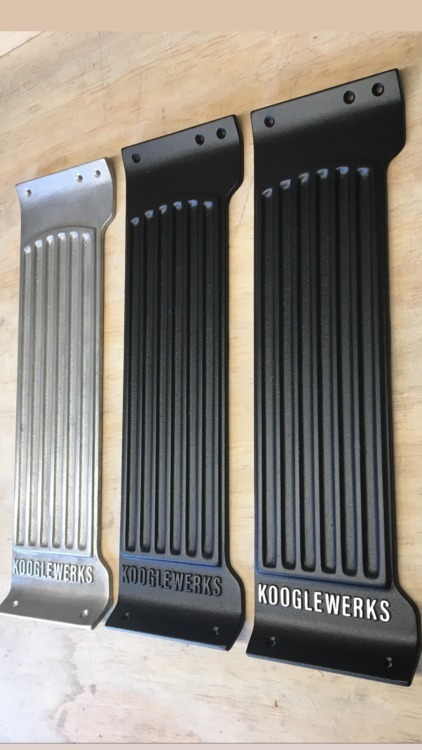 (to install two #8 sheet metal screws, provided...or as I recommend, install two m4 threaded inserts) choice of three finish options: raw/tumbled cast aluminum, satin black powder coat and satin black powder coat with brushed KoogleWerks logo. Wow Forrest, cast aluminum now. You are really getting us 02 owners spoiled! Just the tip of the iceberg my friend! Definitely going on my list of stuff to get from you!